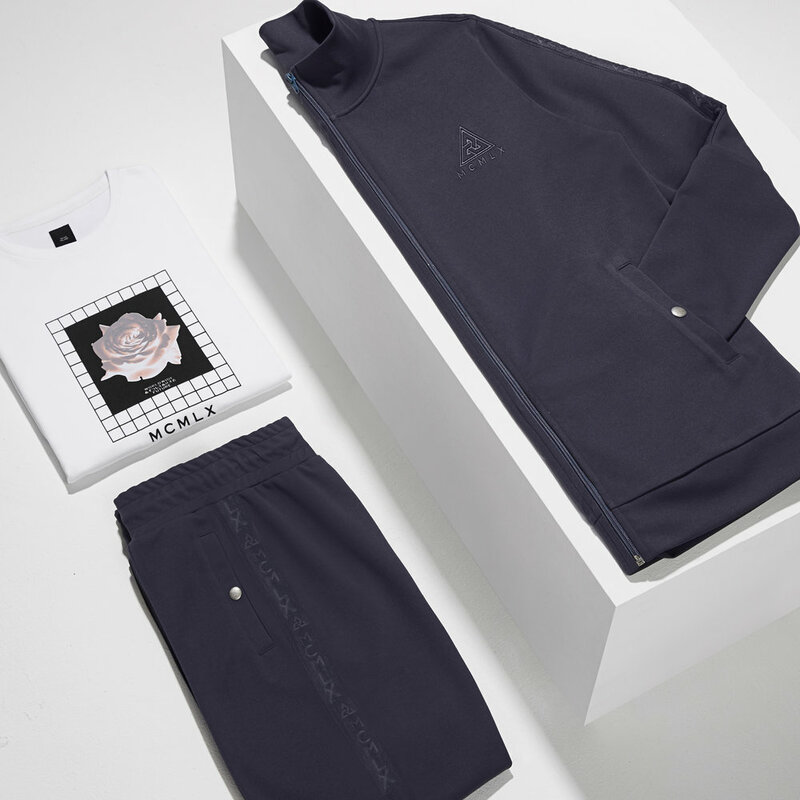 River Island has today launched a new collection of premium streetwear essentials. The Concept collection comprises of 22 swag pieces that are perfectly elevated urban essentials. Boasting lithe silhouettes, modern construction methods with subversive streetwear refs thrown in, zipped track jackets and jogger sets are cut from high quality jersey fabrics, whilst statement day to night pieces feature technical hardware details. Mostly muted shades of steel grey and navy are offset by pink, white and burgundy and the simple MCMLX logo is emblazoned across hoodies and T-shirts. The real star of the show re the minimal sweats and shorts in jersey, perfect for gym to brunch and then lazing around the flat all day. From £20 - £25 and available now at River Island.